The energy of Love beyond cosmic is the foundation from which the book has been written. It is a declaration that the veil separating humans from their cosmic heritage has been lifted. The contents of the book carry material that has never before been disclosed to human eyes. It is a voice for the vision of the Divine Mother which develops wisdom and beauty. Her role is to marry the cosmic and planetary levels. We call it the connection. The book of four hundred pages contains selections from discussions that have occurred between the messengers on planet Earth and the One, cosmic Angels, the Ancients and the Divine Family, which includes the Mother, Father, Jesus and the Unnamed One who carries the cosmic title of Lucifer. Some of the characters featured include Satan, Yahweh/Jehovah, the Devil, Archangels, Quetzelcoatl, Blue People, Ascended Masters, Melchizadeks, Hermes and many more. These personalities come alive as they offer their viewpoints on the roles they have played and in some cases still play. There are exposés showing the lies that have bound the human mental programs in states of servitude because of the religious systems developed from the god sense, which we will show is nonsense. The destruction of the World Trade Centre is a feature in the book and discloses the people responsible who support the use of terrorists and their attacks for their own advantage. The material is controversial because it shines the light on secret issues and beliefs. The book is to be savoured for the cosmic energy it carries and it will enhance and develop the lives of readers. 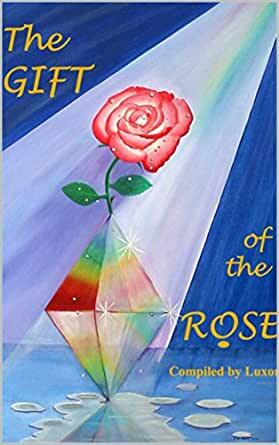 There is the promise in "The Gift of the Rose".